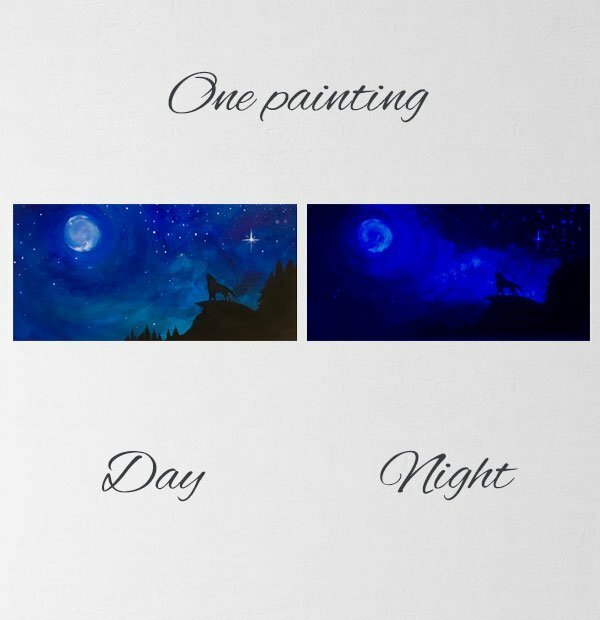 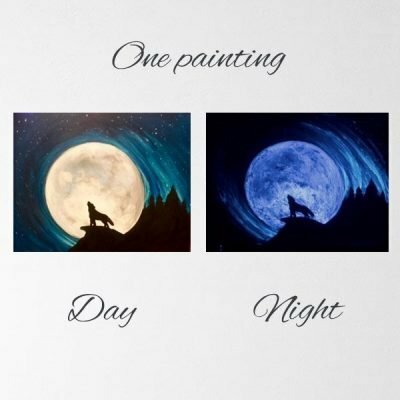 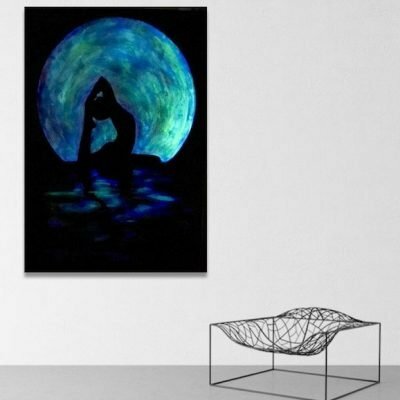 Howl at the Moon” is a 100% hand-made painting, created with phosphorescent acrylic paints on high-quality canvas. 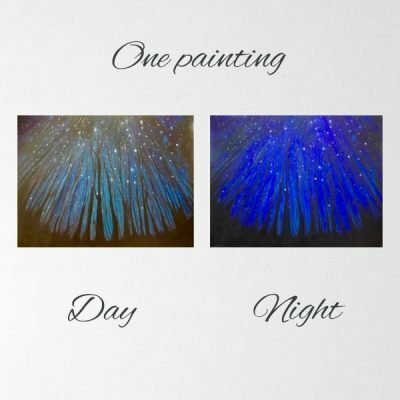 Painting is coated with high-gloss varnish to protect it from possible dust and sun damage. 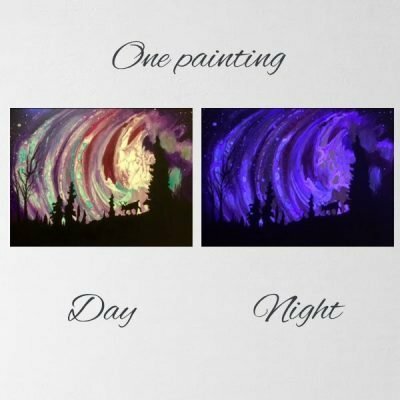 Phosperescent prainting glows under black UV Light – guranteed for more than 10 years.